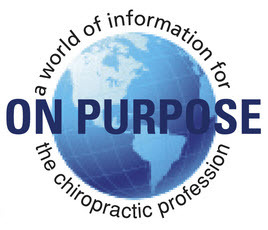 One of the issues causing outrage at the Council on Chiropractic Education amongst chiropractors has to do with the changes they made to their Standards allowing them to accredit programs other than those leading to the Doctor of Chiropractic. 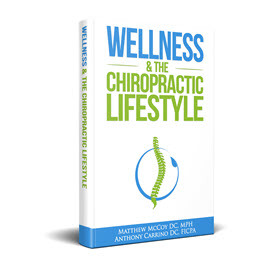 The concern is that they would use this authority to accredit programs such as the Doctor of Chiropractic Medicine Program offered by National University of Health Sciences. In fact, this is exactly what appears to have happened. 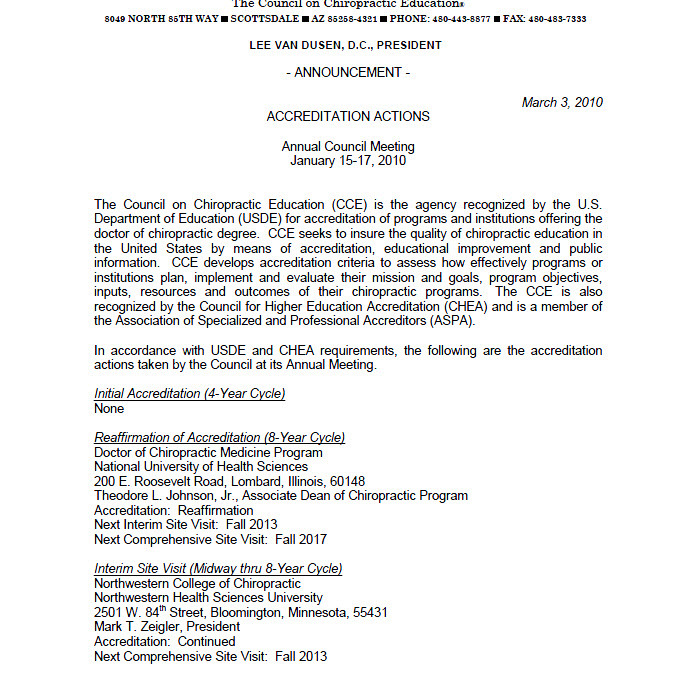 According to an Announcement published on their website on March 3, 2010 the CCE reaffirmed accreditation of National’s Doctor of Chiropractic Medicine Program for 8 years. According to the U.S. Department of Education web site, the Council on Chiropractic Education is recognized as a specialized accrediting agency. 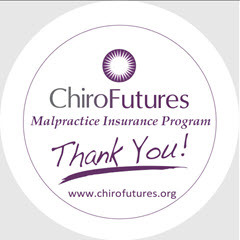 The scope of recognition is: “the accreditation of programs leading to the Doctor of Chiropractic degree and single-purpose institutions offering the Doctor of Chiropractic program.” No mention is made of a Doctor of Chiropractic Medicine degree. 2. Accreditation of the DCM degree. The Department of Education listing does not reference the DCM degree. 3. State laws generally require a Doctor of Chiropractic degree for licensure. Furthermore, states generally prohibit the practice of medicine and surgery by chiropractors, and regulate the use of titles by licensees. 1. 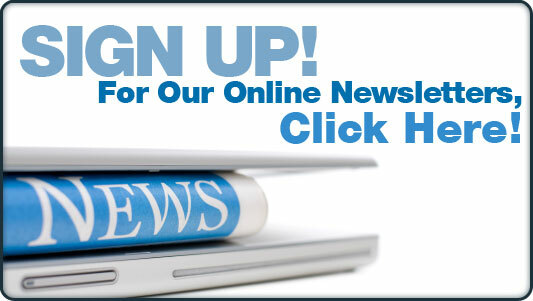 Does CCE accredit Doctor of Chiropractic Medicine degree programs? 2. Has CCE established standards for the DCM degree? 3. Is the DCM degree within the scope of USOE’s recognition of CCE as an accrediting agency? 4. 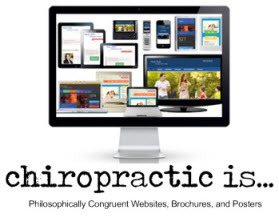 Does CCE accredit programs leading to any degree other than Doctor of Chiropractic? 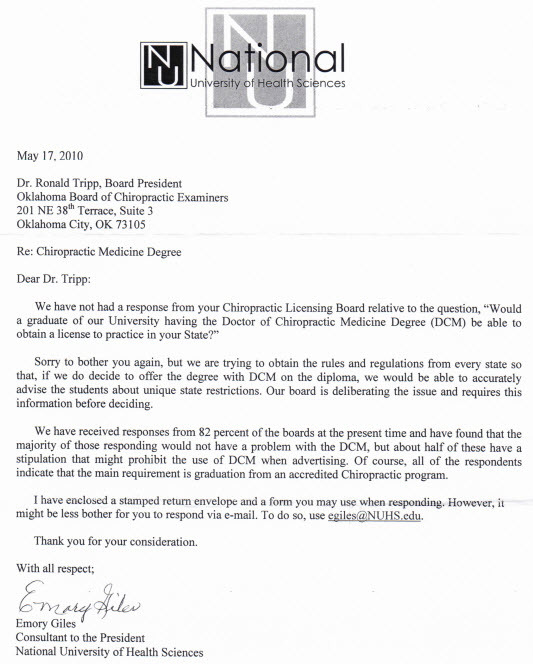 On June 16, 2011, nearly one year after Dr. Kent wrote to him, Dr. Dusen wrote back stating only that the CCE was authorized to accredit Doctor of Chiropractic programs only and that the Standards were available on their website. Since Dr. Dusen’s letter was unresponsive to the questions posed, Dr. Kent wrote a follow-up letter on July 11, 2011 pointing out that he answered only one of the four questions asked, number 3 and asked for a “prompt” response to the remaining three questions. He further specified one of the questions by referring to the CCE announcement that they had indeed accredited a DCM program at National. 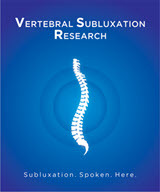 According to a nationwide Freedom of Information Act and Open Records Request, the Foundaiton for Vertebral Subluxation has gained documents sent between National and the states regarding whether or not the paritucalr state would recognize the DCM degree. According to one document sent to Oklahoma - National contends that they have received responses from 82 percent of the boards at the present time and have found that the majority of those responding would not have a problem with the DCM degree. According to Dr. Kent he has not received a response to his second letter – but then again it took them one year to respond to the first.